I met my book deadline this past Monday. I will never forget the feeling I had when I stood in Kinko's holding my whole manuscript in my hands. I did it!!! I wrote a book. Whooo Hooo! Thank you so much for your prayers and encouragement. They meant the world to me. Many have asked if I am completely done. Well, all l of my chapters are complete, but my very kind editor gave me until August 9th to turn in the end of chapter questions and scripture prayers. This week we have our annual She Speaks conference for Proverbs 31 ministries. Although, I don’t have any big speaking sessions to teach this year, I have several responsibilities. So I am busy getting ready for that and reviewing my book for final touches. Taking it all day at a time, trusting God to accomplish all that concerns me. I know more than ever that He is able to supply just what I need for each day. As I celebrate the completion of my first manuscript, my friend Shari is celebrating the birth of her first book this month, entitled "Good Girls Don't Have to Dress Bad." Our friend Karen did a fun interview with Shari recently and is giving away a copy of the book, so be sure to hop over for a chance to win! I'll be spending this week with my family and getting ready for She Speaks; then finishing the rest of my book so let's keep in touch on Facebook for the next little while. If you would like to be "friends" please click here or my FB profile photo. I would love to stay in touch that way. It's so fun to see your faces and read about your daily lives, too. Have a wonderful rest of the weekend and rest of July, can you believe it's almost over?! Almost Done and a Give-Away! I'm almost done!! Only 10 days to go and my first book will be finished!! WHOOHOOO!! I have until the morning of July 19th to place her in my publishers hands. This morning as I was thinking about how it will feel when I do that, it is as though I am giving my baby to another family to take care of for a year, and then I get her back next summer when she is published! This book truly holds a part of me and so much of what I hold most precious about my Jesus. The pages have been dampened by my tears, filtered through my fears, poured over by my prayers, and written from the deepest places of my heart and soul. I can't even tell you how excited I am about sharing it with you one day. I just can't believe I am here, almost done!! God has truly done miracles, displaying His faithfulness in ways I cannot even describe yet, but I will one day. For now, I am celebrating the birth of another book! 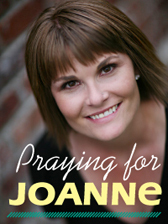 Author Susanne Scheppmann is a dear friend and teammate of mine from Proverbs 31 Ministries. Her latest book, Embraced by the Father, was released recently. Today, I asked her to share more about it here and she is also giving away 2 copies and a $5 Starbucks card to one of you! Susanne, your new book Embraced by the Father: Finding Grace in the Names of God shares parts of your life story and how God changed your life. Can you tell us a little bit about those events? I became a Christ follower at the age of 15. My life prior to Jesus was at best dysfunctional. My mother was schizophrenic and my father was an alcoholic. After coming to know Jesus Christ my life metamorphosed into a life of meaning and purpose. My book describes how God released me from hurtful memories and then, used those experiences for ministering to others. Can you explain what you mean by the phrase “names of God”? How does it help us to know the names of God? Very early in my spiritual journey, I learned that God reveals His character and purpose in our lives by various names. The Good Shepherd, Father, or Lord Almighty are a few examples of the names of God. Each name of God that is revealed in the Bible points us to a deeper personal relationship with God. 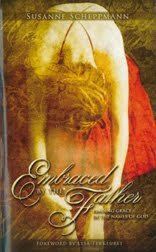 What else would you like women to know about "Embraced by the Father" and its dance metaphor? It’s a fact, women seek security. We want to feel loved and protected by someone who cares for us. For many women, me included, their earthly fathers failed miserably in the role as daddies. My book is unique in that I used a dance metaphor to help us to understand the character and promises found in the names of God. God invites every woman to dance with Him as a daughter might stand on tiptoe on her daddy’s feet to high step across the room. Women may be widowed, divorced, or single but God still desires for them to learn to dance through life on His everlasting arms. Click on the arrow to watch the book trailer. Are you tired of feeling like a wallflower in the dance of life? Come learn to dance with the God Almighty by reading Embraced by the Father—Finding Grace in the Names of God. Congratulations Feennie from http://justfeenie.blogspot.com/-- It's always too hard for me to decide a winner, so I let random.org and it chose you to receive "Embraced by the Father." Please send your mailing address to Renee@proverbs31.org. I know will enjoy this book love sharing it with friends. I hope many of you will get a copy, too. Such a great book! Are you ready to lose the weight of self-doubt? Sign up for "The 7-day Doubt Diet"
You will receive FREE Confident Heart devotions that are filled with encouraging insights, powerful promises, and scripture-based prayers each day, for a week! Enter your information below to be part of "The 7-day Doubt Diet" beginning June 27th. Winners, winners & more winners! Are you tired of doubting yourself? Highlights, Winners & Another GoBible Give-away! There is No One Like You! Winners and Other great offersl!